Invent Tech 3 Hull and Subsystem BPC using Ancient Relics. This process is also sometimes called reverse engineering. Reactions (1x): 4% reduction of reaction time per skill level. Level 3 is needed for the Hybrid Polymer Reactions needed for T3 production. Mass Reactions (2x): One additional reaction slot per Level (from the one slot base allowance). Advanced Mass Reactions (8x): One additional reaction slot per level (for a maximum of 11 with both skills at 5). Polymer Reactions are seeded on the NPC market under Reactions > Polymer Reactions. As with other reactions these cannot be researched. Fullerenes are obtained by harvesting gas sites in w-space. See Gas Cloud Mining#Fullerenes for more details. Fullerenes are very bulky and shipping large quantities of these gases may become challenging. Minerals are obtained from mining standard ores (either from Ores sites in w-space, or asteroid belts in k-space). 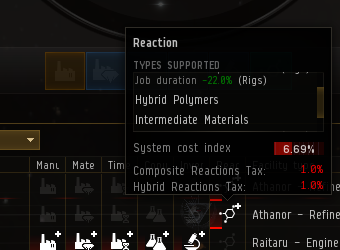 Compared to Tech 2 manufacturing, very little minerals are actually required to manufacture Tech 3 ships and subsystems. Fuel blocks are also required. These can be manufactured from ice and PI commodities or purchased on the market. Note that in this screen capture the facility is bonused, but not for Hybrid reactions. Note also the high system cost index: this will impact the job cost. The System cost index for reactions is calculated based on all reactions done in the refinery's system, not just on Hybrid reactions. After the reaction process the Hybrid polymer produced will typically have 40% or so of the feed materials volume, depending on the exact reaction and on the facility ME bonuses. These components are used to construct both the subsystems and the hulls. You can manufacture these in any citadel or station where construction is possible (where there is an online Standup Manufacturing Plant I). The BPOs are available under Blueprints > Manufacture & Research > Components > Subsystem Components and may be researched & copied as normal. Normal facility bonuses apply. A rig (Advanced Component Manufacturing) can also be installed to speed up manufacturing or increase material efficiency. Ancient Salvage is obtained by salvaging Sleeper wrecks in w-space. Hybrid Polymers obtained from the reaction process as previously described. The initial object required is an ancient relic, retrieved from Relic sites in w-space. Ancient relics look very much like BPOs, except with a yellow background instead of a blue one. Unlike a BPO, however, they will be consumed during the Invention process. Sleeper Encryption Methods (4x) is the basic skill required for every type of Ancient Relic. Then each ancient relic needs its own two skills. The Subsystem Technology skills themselves each require a specific science skill at IV. Ancient Relics are gathered from Relic sites in w-space using an Relic Analyzer (Archaeology skill). Some also drop from Data sites. Tech 3 Subsystem Datacores are obtained from Data sites in w-space using a Data Analyzer (Hacking skill) and are required for invention of the various subsystems. Standard datacores are obtained from Factional Warfare LP stores, R & D agents, randomly from Data sites, or just the market and are required for both invention of the subsystems and of the T3 hulls. T3 invention is mostly identical to normal T2 invention. Datacores and decryptors (if used) are consumed whether the Invention is successful or not. As usual the chances of success and the number of runs of the invented BPC can be changed by using a decryptor. The T3 invention process is fast with a base time of only one hour. With good skills and citadel bonuses, the time can easily be reduced to 25 or 30 minutes. One major difference with T2 Invention, however, is that only one job run per science job slot can be submitted at a time. Given the low base chance of success of the process, especially with Malfunctioning or Wrecked ancient relics, this prevent a player from submitting 20 runs overnight and hoping that over the number of runs one or two will have succeeded. Most players will therefore want to have the required skills at least at III before attempting the invention process, and having them at IV will help to increase the chances of success. Many players doing T3 Invention will also use decryptors such as Attainment or Parity to increase the chances of success further. Construction of Tech 3 subsystems and hulls are skill intensive. The skills required are as follow. Tactical Destroyers, Strategic Cruisers and Subsystems are created using invented BPC and Hybrid Tech Components. In addition Tactical Destroyers and Strategic Cruiser require R.A.M.- Starship Tech, for which the BPO is sold by NPCs in k-space. A Tech I and Tech II version of these rigs exist. The usual skill, implants and Facility bonuses also apply. 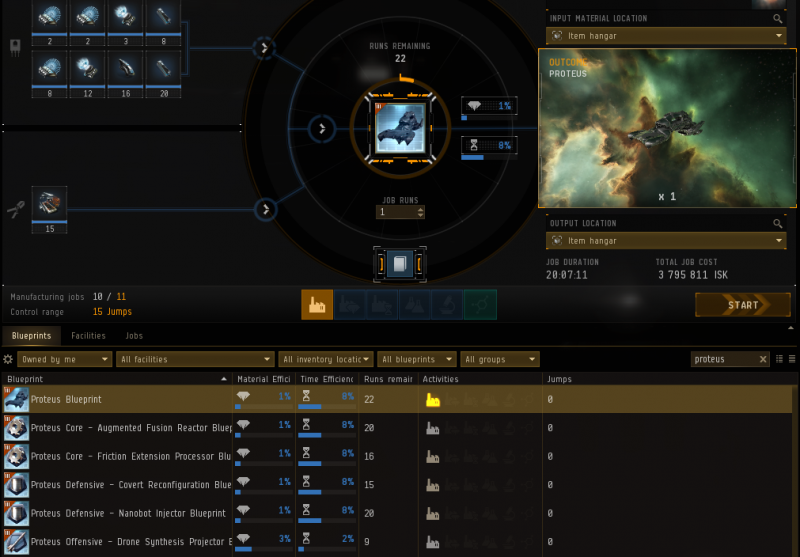 As you are now in no doubt, T3 construction is one of the most complex manufacturing process in EVE. 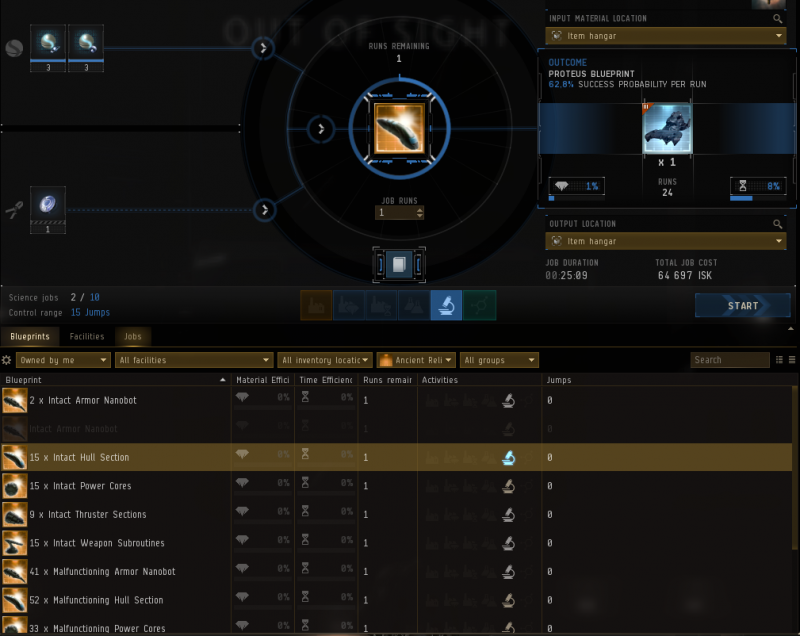 Most of the T3 production activity in EVE used to be carried out by wormhole-based corporations at their own structures in w-space, although a fair amount is now done by sov null based corporations. The skill requirements to manufacture Tech 3 ships are also high, and the large volume of material to move is logistically challenging. 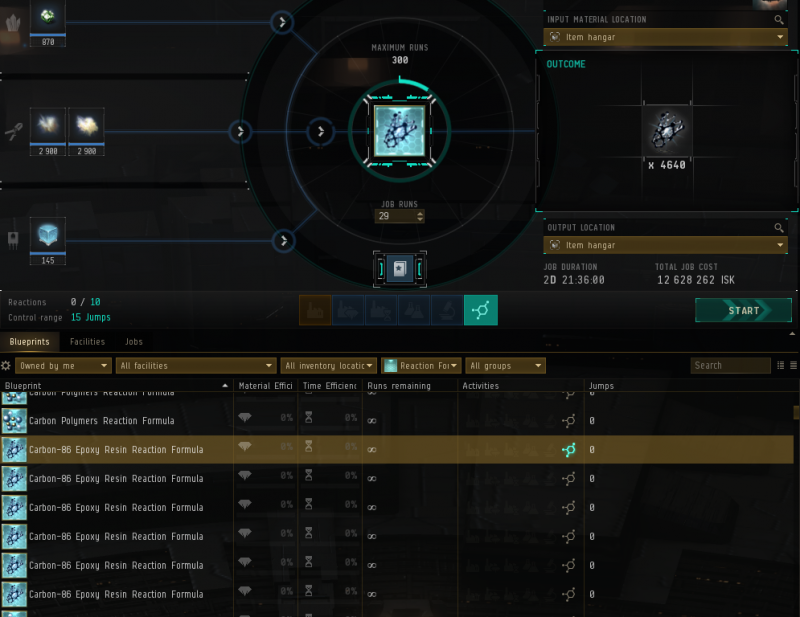 Tech 3 ships are therefore very expensive, with prices for a Strategic Cruiser hull and all four subsystems around the 250m - 300m ISK mark (as of December 2018). With a good set-up, the production of Tech 3 ships and subsystem can however be profitable, but this likely won't be the first thing the new Industrialist will try. This page has been accessed 196,033 times.